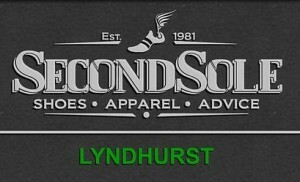 Visit Second Sole in Lyndhurst, Ohio to Save on Montrail and Pearl Izumi Shoes! Take a look outside of your Cuyahoga County, Ohio window. We may be nearing the end of summer, but the weather is as beautiful as ever! Now is the perfect time to lace up your tennis shoes and head outside for an invigorating run! But, you notice that your footwear has definitely seen better days. It’s hard to enjoy a run when your rubber heel is falling off! Fortunately for you, Second Sole in Lyndhurst, Ohio frequently offers great running shoe deals to Cleveland, Ohio area natives. When you print off your coupon from iShopCuyahoga.com and stop in to Second Sole Lyndhurst, you can save on Montrail and Pearl Izumi shoes! Hey, kids! Listen up! Now that school is back in session throughout the Cuyahoga County, Ohio area, and parents have waged an all out war on children (you know…do your homework, go to bed early, pack a healthy lunch, blah, blah, blah) isn’t it payback time? How about a little friendly competition of parents versus children at WhirlyBall & Laser-Sport in Bedford Heights, Ohio? Sweetly suggest that your Cleveland Heights, Ohio family could use a family game day what with everyone being so busy now, and that laser tag is the perfect game for all ages! E.F. Boyd & Son Is an Established Funeral Home in Cleveland, Ohio and the U.S.
Second Sole Lyndhurst Has Specials on Cross Country Spikes & Training Shoes for Cleveland, Ohio Area Runners! If you’re a cross country runner in the Cleveland, Ohio, then this blog is definitely for you! 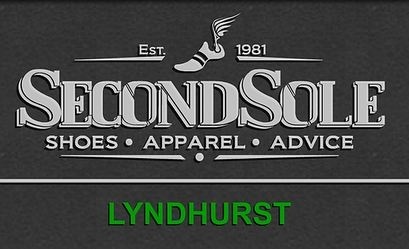 Second Sole in Lyndhurst, Ohio is celebrating the commencement of cross country season with a slew of sales, promotions, and special events just for you! As you gear up for the coming season, make sure you’re picking up your cross country spikes and cross country training shoes at Second Sole Lyndhurst, and don’t miss their special running clinic at the end of the month!